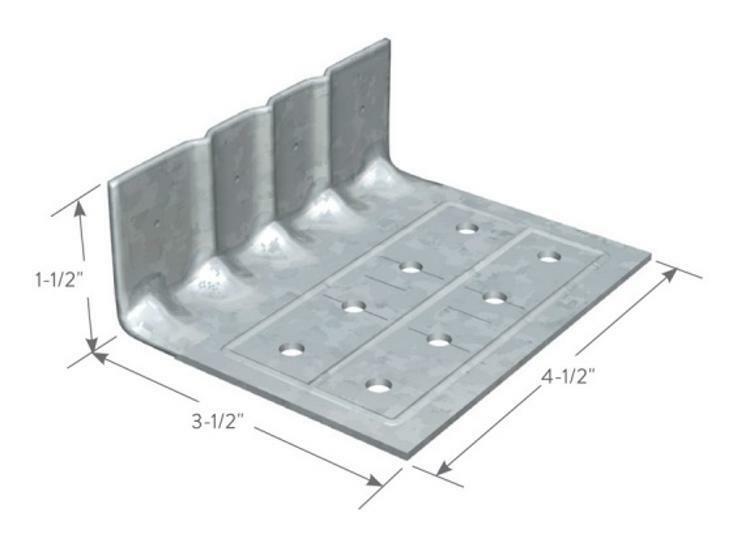 3 1/2 in x 1 1/2 in x 4 1/2 in x 14 Gauge ClarkDietrich Uni-Clip UCEC End Clips at Cowtown Materials, Inc.
ClarkDietrich's Uni-Clip framing clip is a universal framing clip used to attach and support numerous rigid framing conditions. The Uni-Clip framing clip has stiffened corners that provide superior design values and are installed easily with screws or powder-actuated fasteners. This clip is ideal for most rigid connections, including shear, tension and two-axis loading.